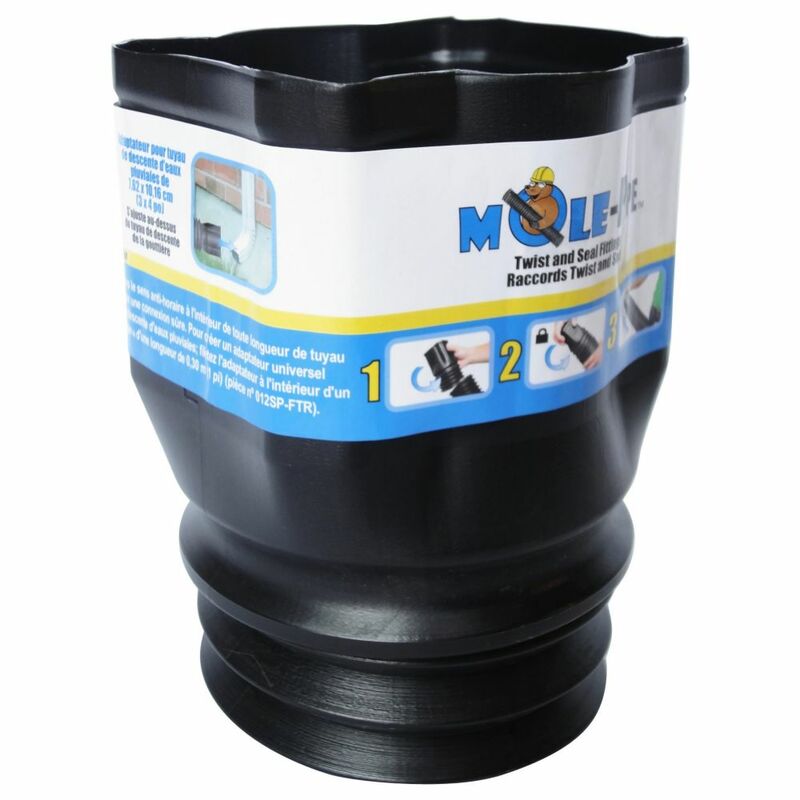 Twist and seal 3in x 4in downspout adapter, counter clockwise threads inside any MOLE-Pipe length of pipe to create a secure connections. Fits onto a 2" x 3" downspout pipe. Blu-Lock is the next generation in the flexible pipe irrigation market. Blu-Lock improves flexible pipe irrigation, adding a stronger and easier to install fitting (eliminating the hand straining, time consuming barb fittings). Use to attach 1/2 in. drip distribution or soaker tubing to any standard outdoor faucet. No special tools or glue required. Twist And Seal 3x4 Downspout Adapter Twist and seal 3in x 4in downspout adapter, counter clockwise threads inside any MOLE-Pipe length of pipe to create a secure connections. Fits onto a 2" x 3" downspout pipe.